Well, that didn’t take too long. 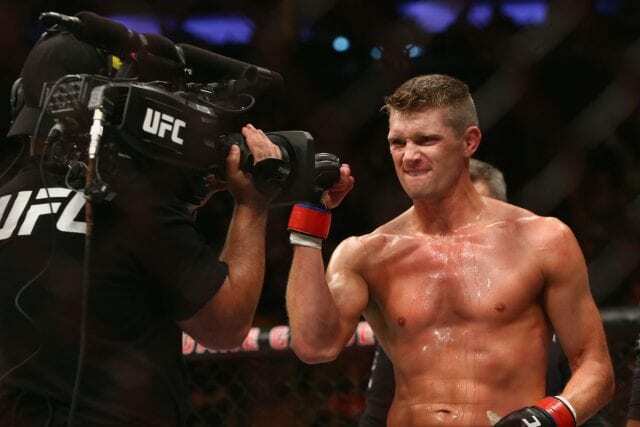 Just 24 hours after being called out, Stephen Thompson has accepted Anthony Pettis’ challenge. “We both got highlight reels, let’s do it!” Thompson wrote. On paper, Thompson vs Pettis is a fight fan’s dream. Both men are capable of incredible knockouts and both possess a dexterity that is nearly unmatched. This, of course, would mean Pettis is done at lightweight. Although he reached the apex in the division, he has gone a pedestrian 3-6 in his last nine outings. As for Thompson, he is in a bit of a neutral state in the welterweight division. After challenging the champion Tyron Woodley twice unsuccessfully, “Wonderboy” now must look for interesting ways to stay relevant. Thompson had previously been linked with former welterweight titleholder Robbie Lawler. However, plans changed when the “trade” that sent Ben Askren to the UFC in exchange for Demetrious Johnson shuffled his opponent. This would be quite the suitable replacement, even if it doesn’t do anything for Thompson’s title picture standing.